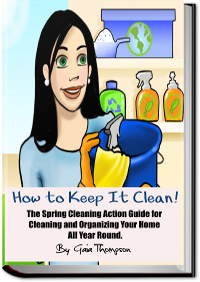 Fact: Cleaning your house can be challenging without adequate house cleaning supplies. When shopping for your supplies, you may be like my mother. She would use one brand of dish washer or one brand of toilet cleaner and don't you dare buy anything different for her to try. Maybe you're like me looking to try something new every once in a while. Whichever category you fall in, you expect your supplies to work for you efficiently. In fact, whatever house cleaning supplies you use, their main purpose is to help you, to make your house easier and quicker to clean. In my quest for something new, I've found some supplies online which suits my needs perfectly. Below is my shopping list, it's quite short. Can they clean better than the regular house cleaning products? House Cleaning Tips for How to Choose the Best Air Cleaner. The new hot house cleaning power tool for homeowners.